Natural Healing Tools: Stressed Out? Or Magnesium Deficient? Stressed Out? Or Magnesium Deficient? Stress is a funny thing… it seems to pop up at the most inconvenient times, or add an extra hurdle to already difficult situations. It can push emotions to their limits, negatively impact the immune system, and exacerbate pain or chronic conditions. And unfortunately, often times the stresses of life are unavoidable. However, despite the fact that stressful stimuli abounds, there are ways to but to truly reinforce your body’s own ability to handle stress. One of these, as you may imagine, is maintaining good health. Of course, in today’s busy world, that can be easier said than done! Research has shown that stress is a leading contributor to many illnesses, as the repercussions are not just mental but overwhelmingly physical as well. As we are faced with difficulties, our body begins to pump hormones – stress hormones – into our system. Adrenaline, norepinephrine, and cortisol are produced by our adrenal glands and, in times of stress they result in Fight-or-Flight and increased body responsiveness. 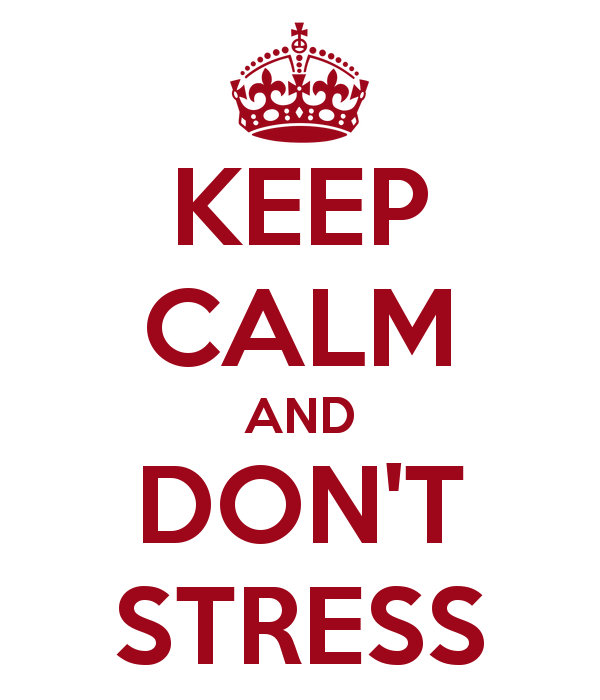 You may notice that when stress begins to build, your muscles tense, breathing increases, and vision improves. All of these are signals that indicate that this cocktail has hit your bloodstream. In times when heightened senses and a state of alertness is needed, this hormone response is obviously critical. For professional athletes that can mean the differences between winning and losing. But high levels of stress hormones are not sustainable in the long run. Our bodies are not set up to endure constant states of heightened emotion or physical endurance. Every time we engage this system, other parts of our biology bear the brunt of the impact – including our mineral stores. Stress has been shown to significantly increase urinary excretion of magnesium, meaning that the more stress you experience, the higher the possibility of a deficiency. Considering that the majority already don’t get enough magnesium to begin with, that means that stress will drive those levels even lower.On top of that, spikes in cortisol can result in inaccurate blood glucose tests, leading to unnecessary pharmaceutical intervention… which, of course, also impacts your magnesium levels. And what happens when you’re stressed? How do you deal with it? In many cases it can cause people to discard healthful routines such as exercise and proper nutrition, and instead consume higher quantities of processed foods, sodas and alcohol – all of which accelerate the loss of magnesium. The most frustrating part of this is that it’s a bit of Catch-22, as magnesium is what helps maintains a calm, restful, and relaxed state. Numerous studies have displayed the rather remarkable capability magnesium has for battling stress, anxiety, anger and other negative emotional responses. Magnesium is well known for its ability to naturally relax muscles and reduce nerve excitability, and is often utilized as a means of assisting with pain, muscle spasms, and cramping. As you can imagine, any form of body discomfort can make handling even the slightest stresses difficult. Governing that discomfort is one of the simplest ways to not only reduce the stress caused by the pain itself, but to ultimately change how you react to stress. Another major factor is sleep. Children are certainly not the only ones who are cranky after being deprived of ample shut-eye. Lack of quality sleep affects our entire system – energy, emotions, memory, efficiency… everything – which also means that we are not as well equipped to deal with potential stumbling blocks in our day. But again, magnesium is a required nutrient for this process, and can be the missing puzzle piece if you are finding yourself tossing and turning night after night. Beyond that, magnesium is a neuroprotective agent and helps support healthy brain function. In recent years researchers in the field of mental health have finally acknowledged just how critical magnesium is to psychological well-being. It has even displayed its Herculean ability to conquer chronic mental health conditions where prescription pharmaceuticals have failed. When the body has sufficient magnesium stores, not only does it help improve mood, but it creates a shield of sorts that essentially dulls the sharp edges of stressful situations, making them more manageable and decreasing their negative mental impact. So which came first… the magnesium deficiency or the stress? Based on statistics, it is most likely a heap full of both. As a society, we are sadly lacking in the magnesium department – diets high in processed foods, our soil depleted of minerals, nutrient-stripping pharmaceuticals, and inefficient digestive systems, combine for a powerful anti-magnesium campaign, so to speak. The Western Diet as a whole leaves much to be desired – not enough “real food” and too much nutrient-devoid “junk.” However, even those of us who eat nutritionally balanced whole food diets may find ourselves struggling to get enough magnesium if we’re not making a concerted effort to do so. Add to that environmental factors such as exposure to air pollution or pesticides, as well as economic factors such as unemployment or financial issues, and our magnesium intake isn’t even coming close to what we’re shedding on a daily basis. The good, of course, is that magnesium deficiency is a rather simple problem to solve (theoretically)… it’s readily accessible, inexpensive, and available in a wide variety of compounds and applications that can fit nearly everyone’s needs. If you find yourself facing a lot of stress, are feeling frazzled or on edge, or just want to maximize your calm, magnesium may be the answer you’re looking for.